I have an enviable list of exact species I should very much like to plant someday. I just need some dirt. If you happen to have dirt, I hope you are doing something fun with it. Few things are as therapeutic as helping something grow. (And plants don't talk back or require potty training). if you'd watch the hepburn movies i would have had more to comment on. 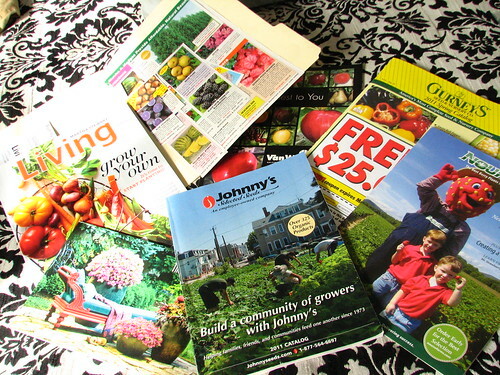 I'm doing the same thing this time of year, have you checked out the Territorial Seed catalog, it's my favorite place to buy seeds.